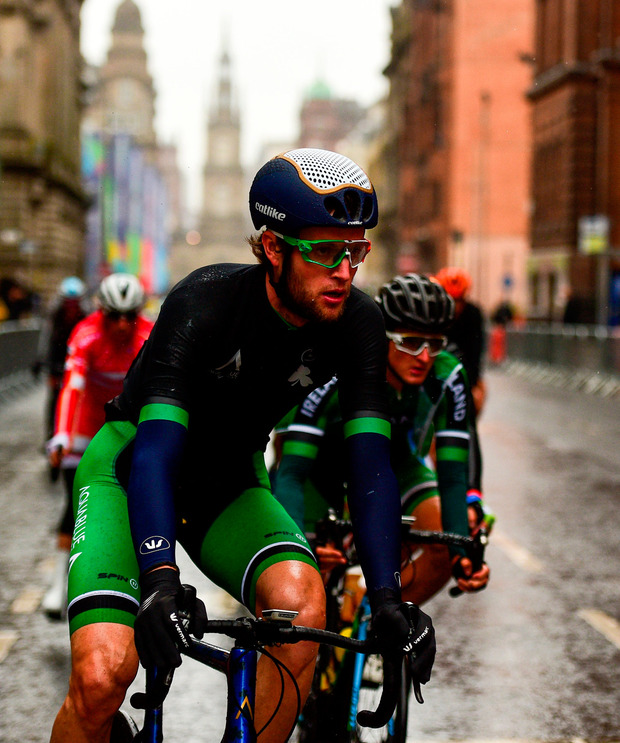 Irish national champion Conor Dunne will race for Israel Cycling Academy (ICA) next season. The 26-year-old rider had been forced to look for a new team for 2019 after the sudden collapse of Ireland’s first pro team Aqua Blue Sport last August. In a difficult market for out-of-contract riders, the tallest man in professional cycling had an anxious wait before securing a contract for next year. ICA operate in the second tier of professional cycling and competed in this year’s Giro d’Italia on a wild card invite. Dunne has gained a reputation as a breakaway specialist, something he hopes to be able to continue with the Israeli Pro-Continental team, but his ambition for the year ahead is to secure a victory while wearing the Irish champions jersey. "I suppose I have gained a bit of a reputation for riding in the early breakaways in many of the races I’ve participated in and this is something I have really enjoyed," Dunne said. "I love being out front and racing aggressively, it is a way of expressing myself. However, at the same time, I feel I am a reliable team player and love participating in a victory in any small way and sharing that feeling with my team-mates. "At ICA, this is something I really want to continue doing and prove to be a reliable, strong and versatile member of ICA at any race we line up in. I also really believe in myself and have huge motivation going into next year to improve further and push myself more than ever. "My own personal goal is to win a race in the national champions colours next year and really put some pressure on myself to achieve this." Dunne was born near London but comes from a family with strong Irish links. "I was born in St Albans, however I grew up being super proud of my family’s roots in Ireland. My Dad’s side of the family are from Ireland. I grew up in Hertfordshire, but now I spend most of my time in Ireland; my girlfriend is from Waterford and I love this part of the world. It gives me great pride to represent my country."